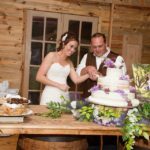 We cater to special group events such as engagement parties, class reunions, business or church retreats, anniversary parties, office parties, day-time seminars, workshops or employee recognition. 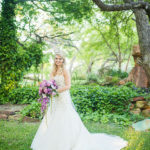 Winding Brooks is a beautiful setting for a photographer’s photo shoot for bridal, engagement, graduation, anniversary, or any milestone memory. 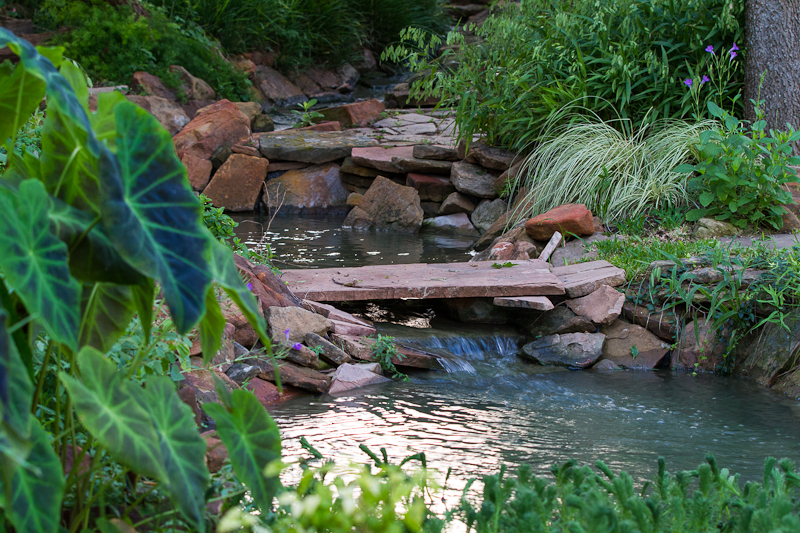 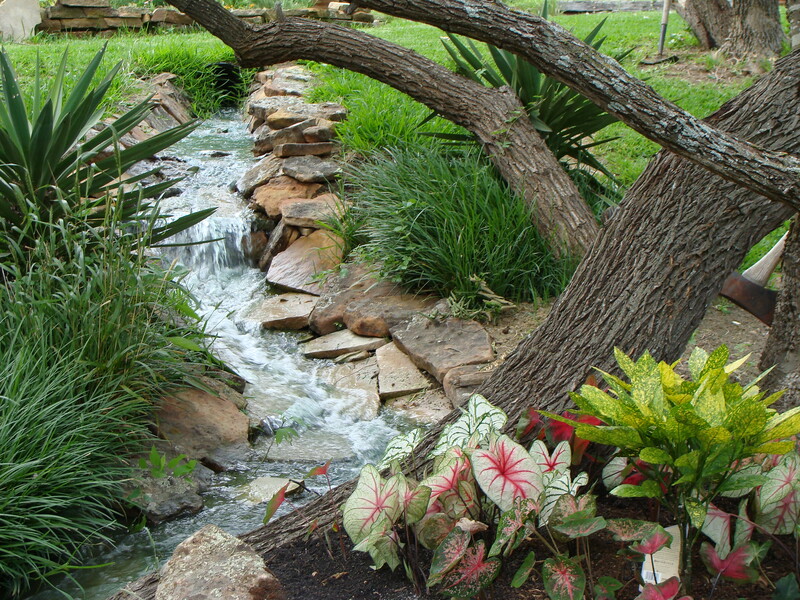 The beautiful plants, flowers, and water features in the garden create a perfect backdrop for photography or video. 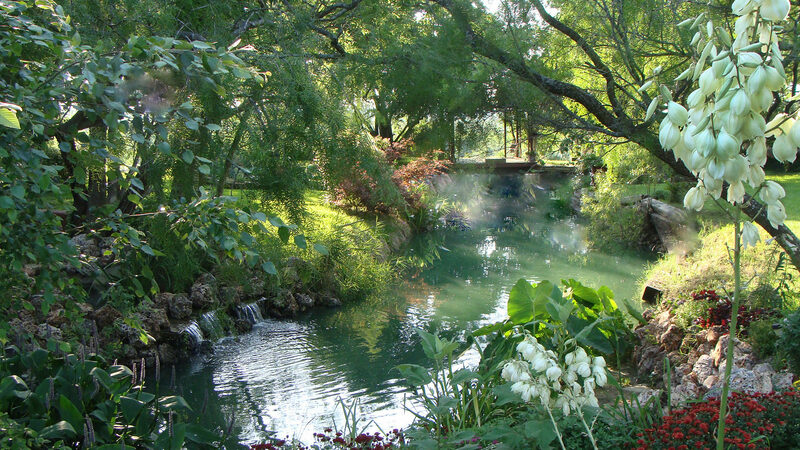 Perfect backdrop with beautiful water gardens, trees, plants, flowers, ponds, and lots more. 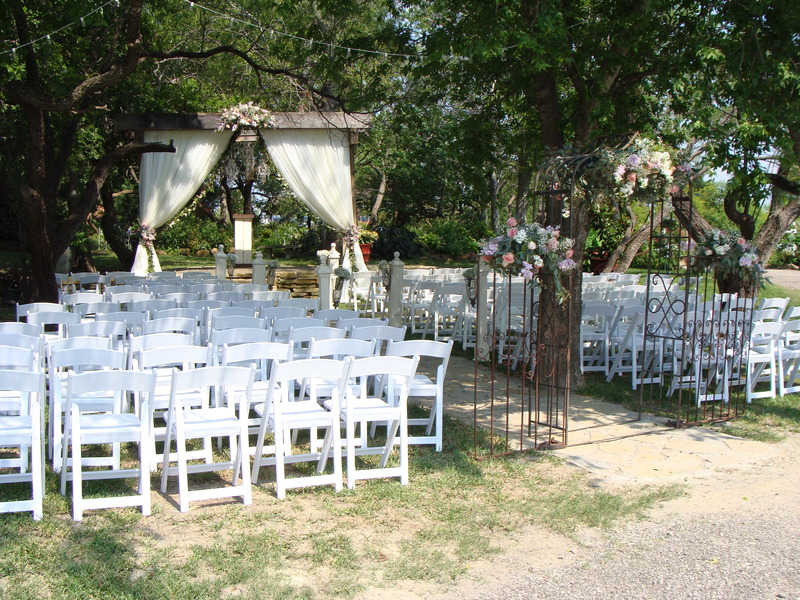 The freedom to select your own caterers and other vendors. 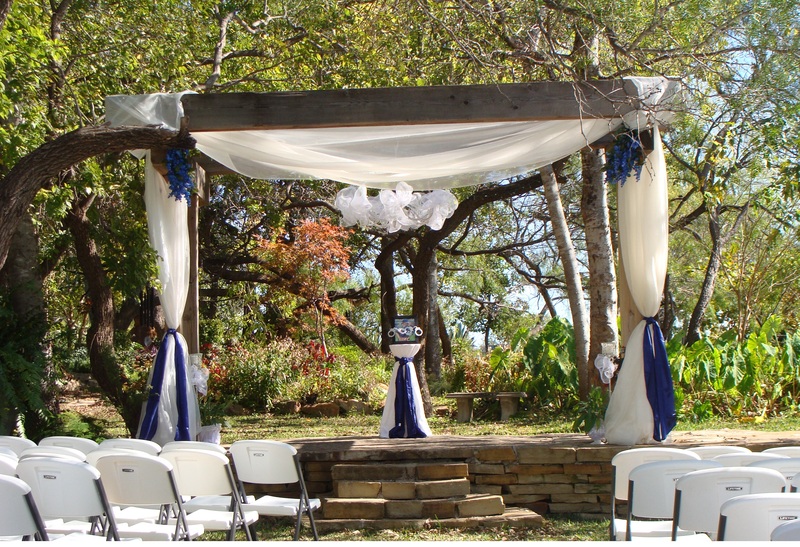 While remaining convenient to the Dallas/Fort Worth area. 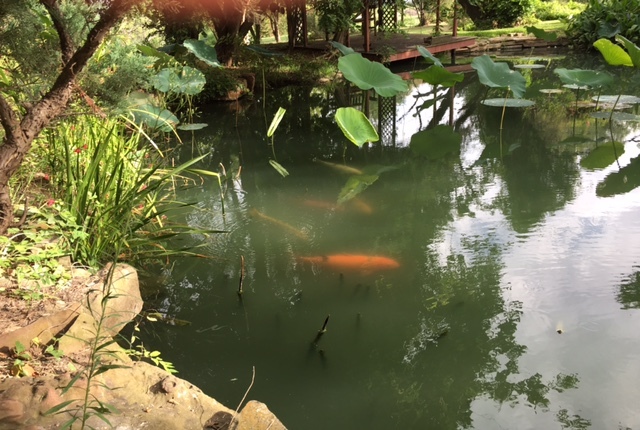 Take some time and look at our features? 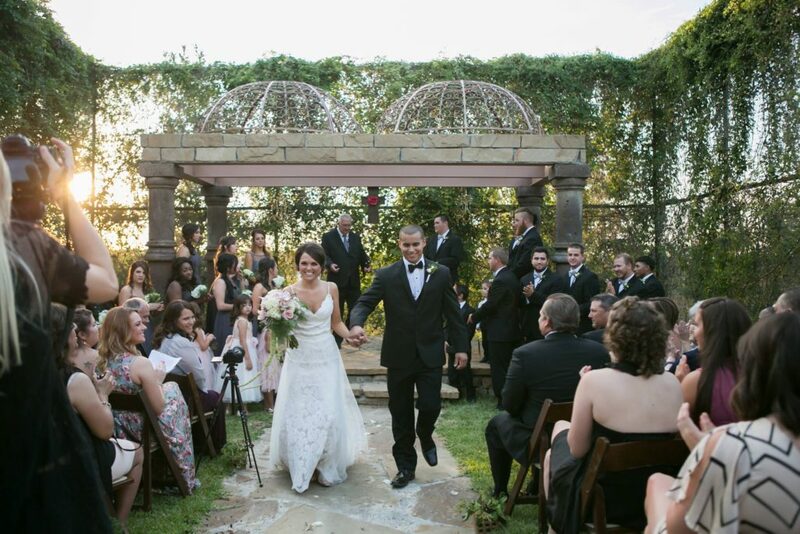 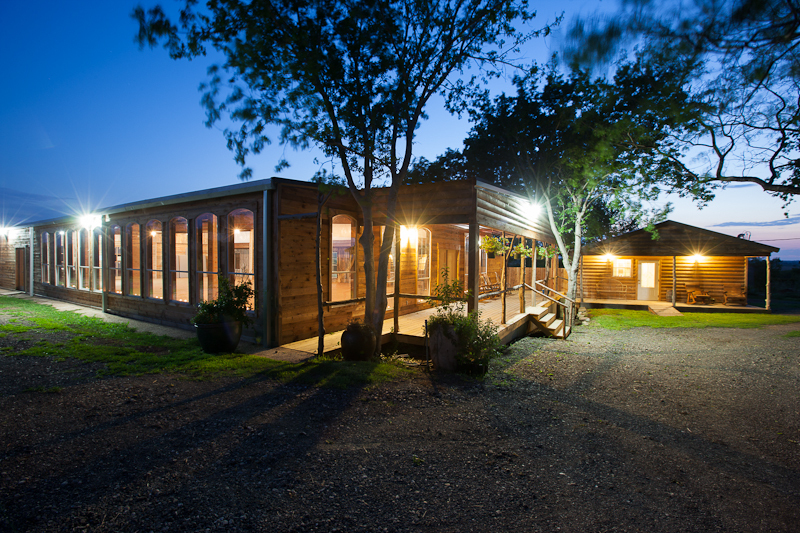 "We absolutely loved this venue. 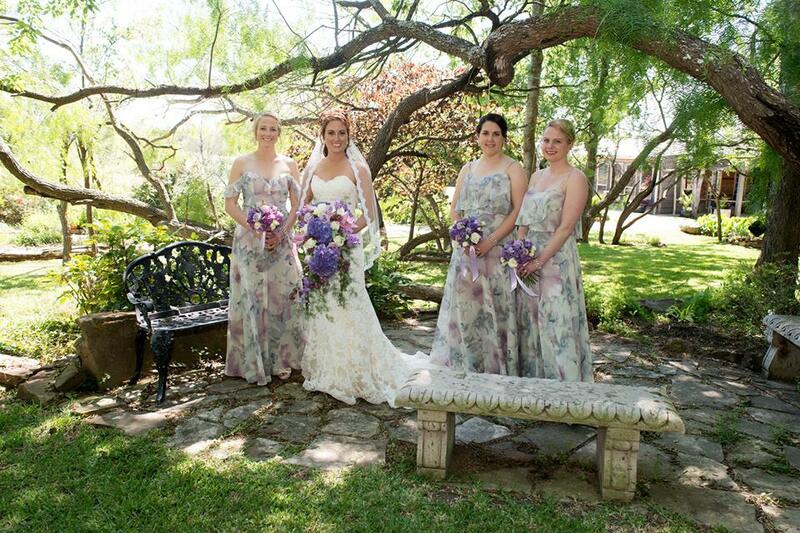 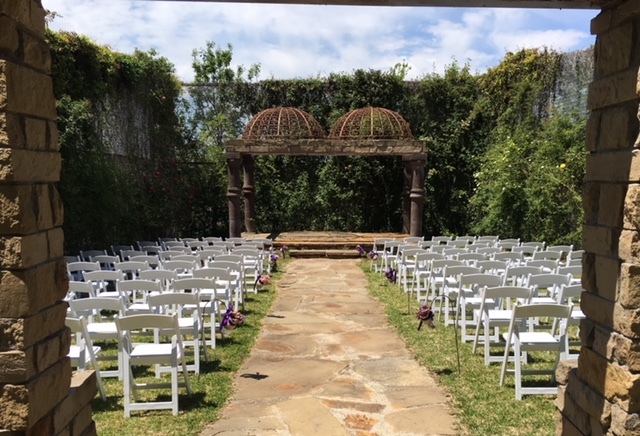 The gardens are so beautiful, the two outside ceremony sites are breathtaking and the reception hall inside is stunning. 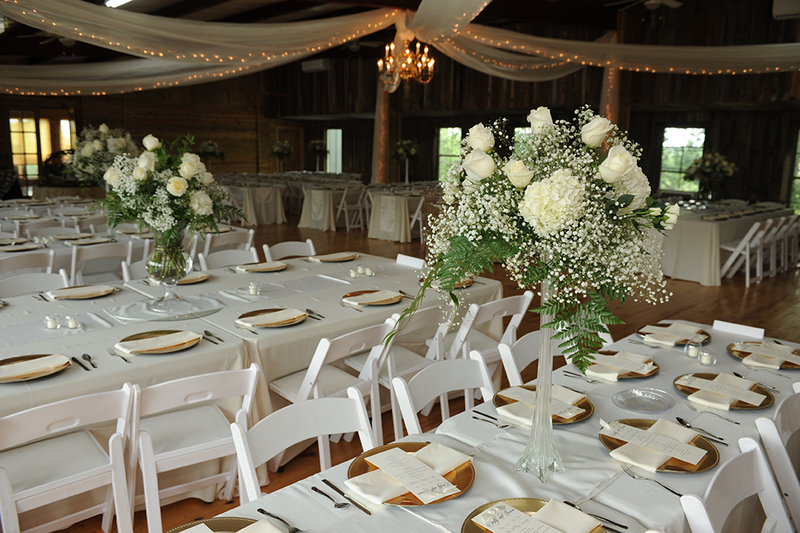 We were surprised we could use the whole venue for one fantastic price... best price we found to accommodate 225 guests! 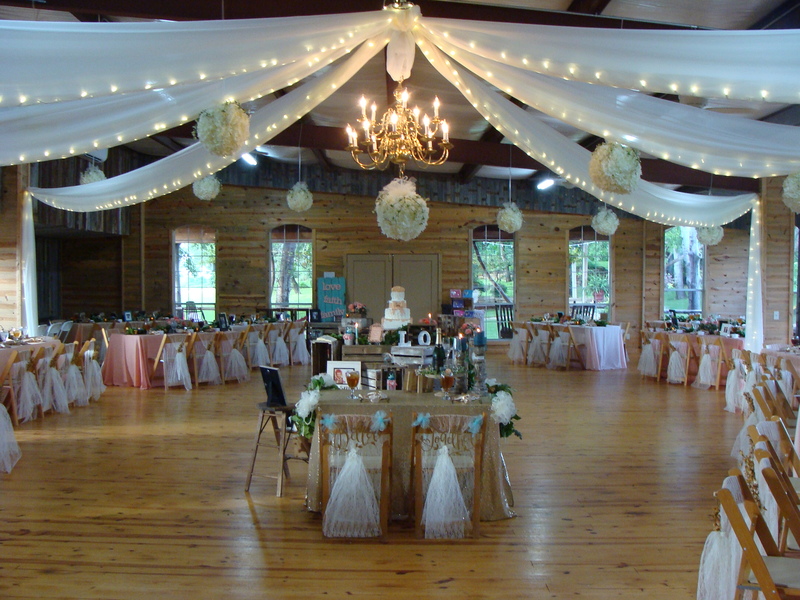 The owners were so helpful getting all our vendors and guests down to the venue in the rain on Saturday with the golf carts to keep them dry. 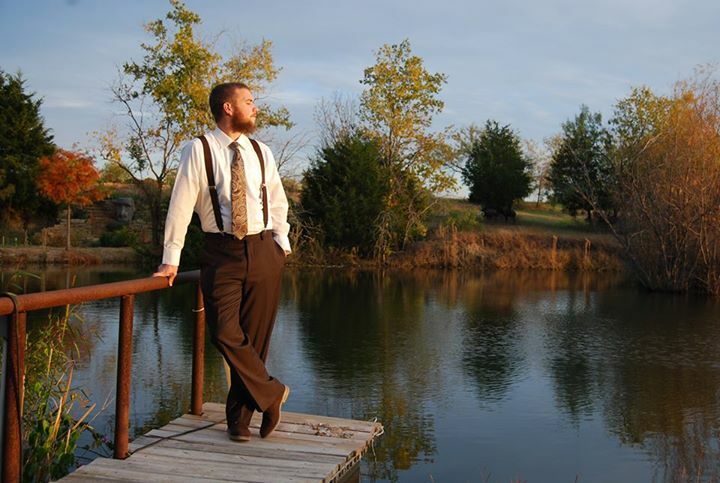 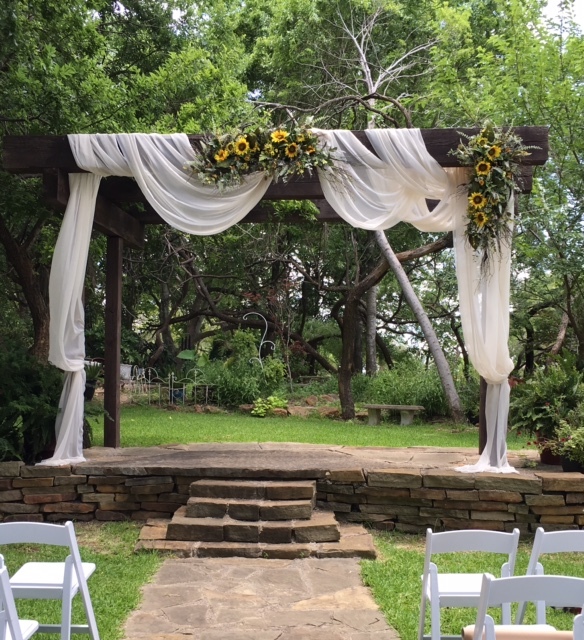 The wedding was amazing and I would recommend this venue to anyone looking for a beautiful site." 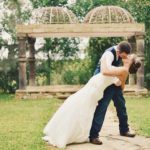 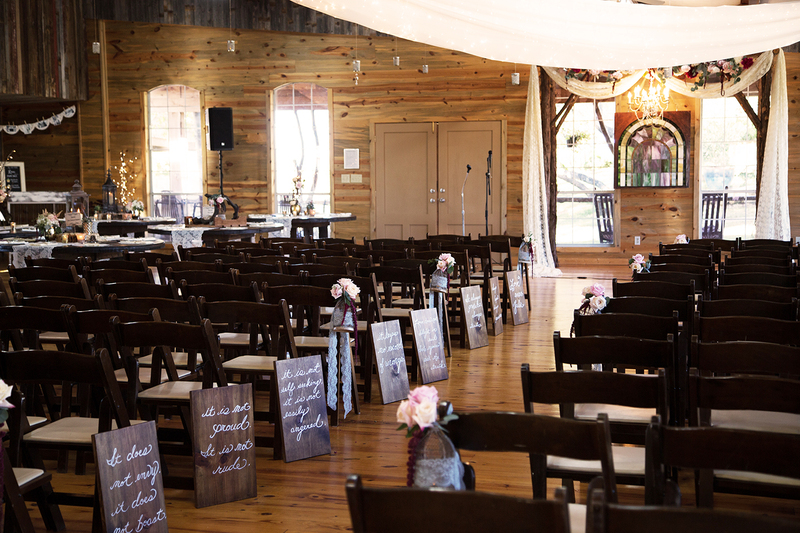 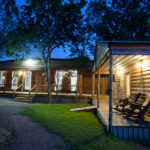 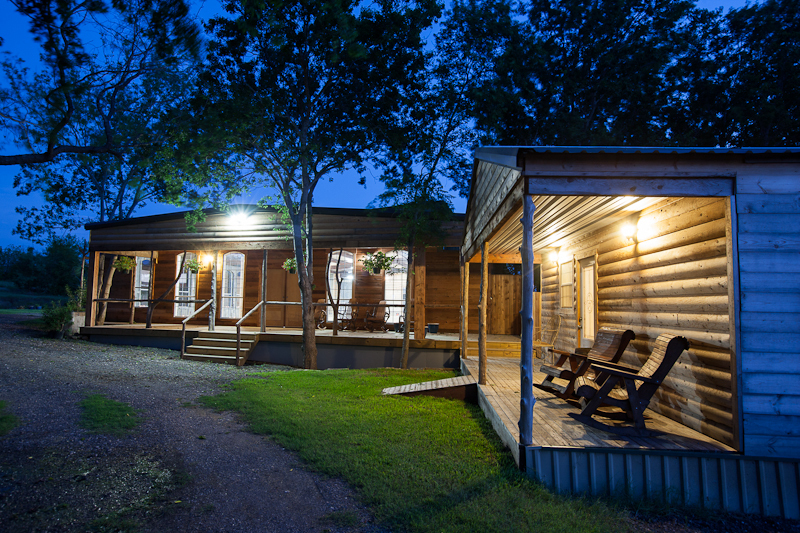 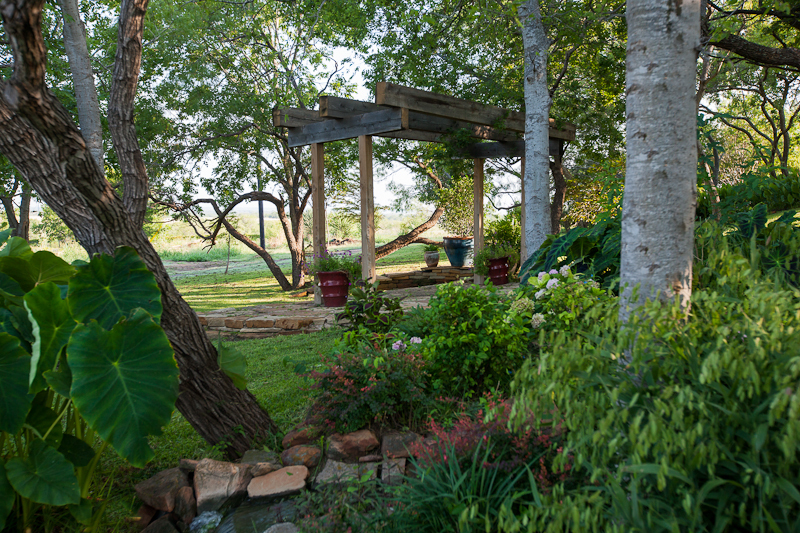 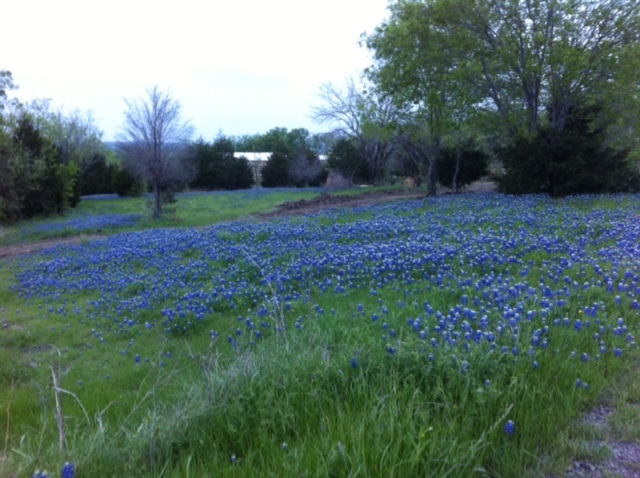 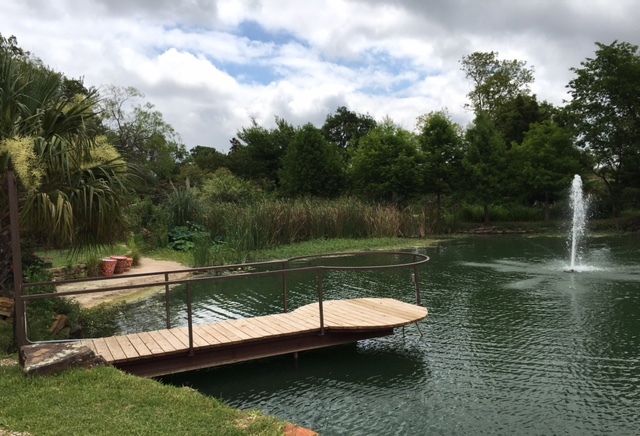 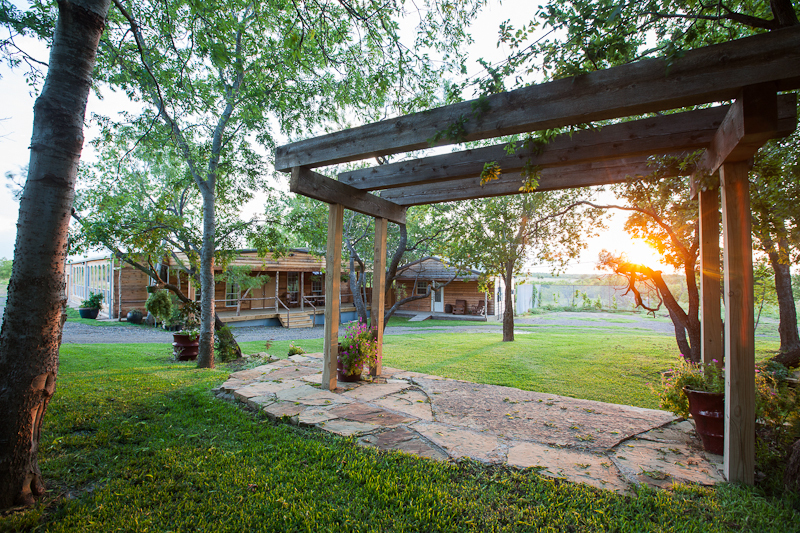 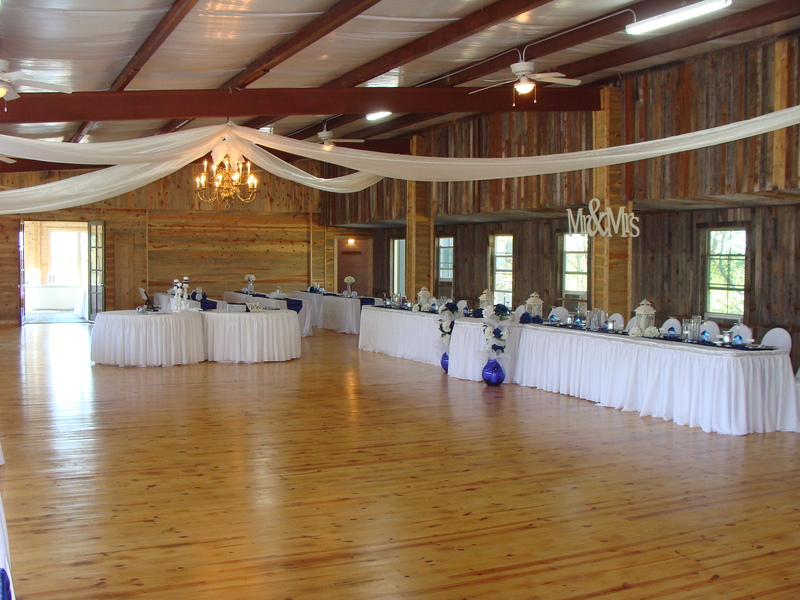 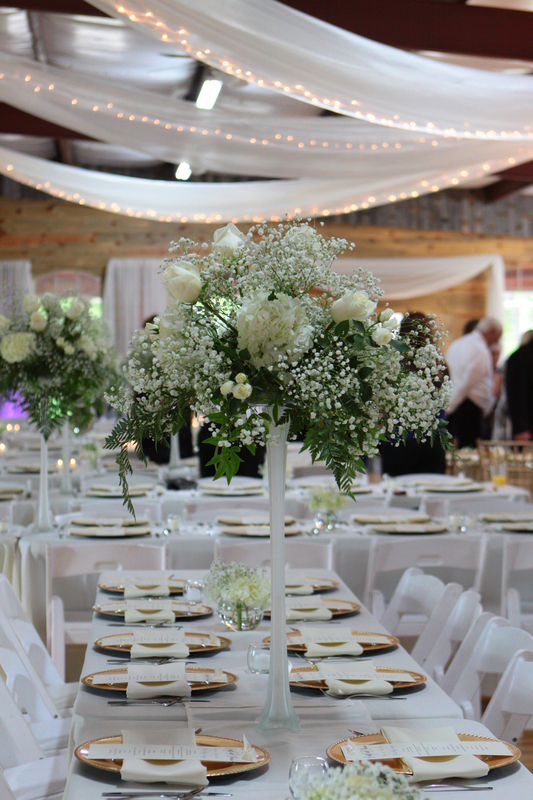 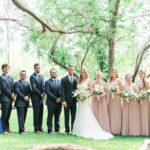 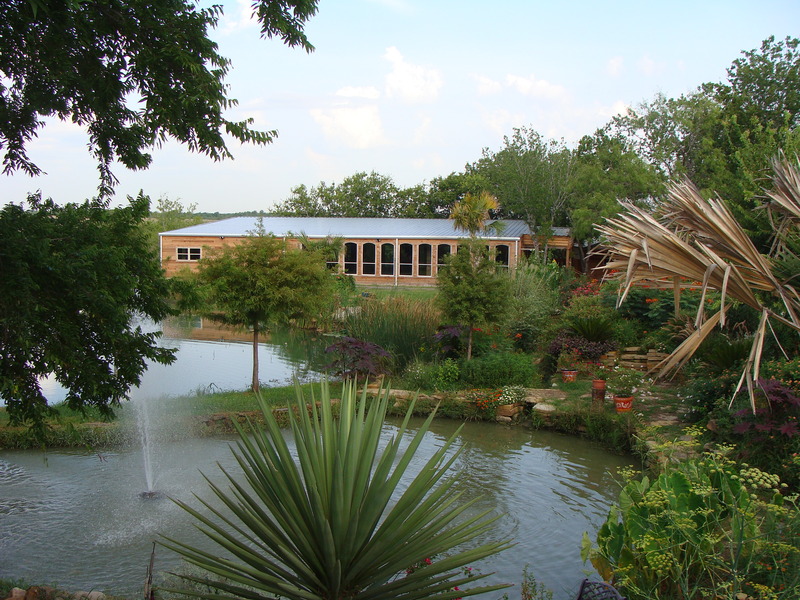 Welcome to Winding Brooks, a privately-owned and operated event venue located in Ellis County, approximately 40 miles south of Dallas. 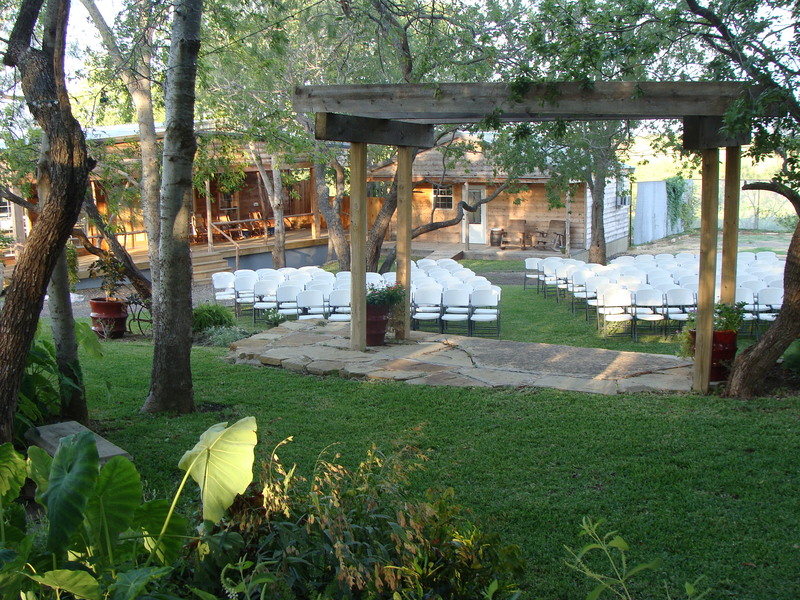 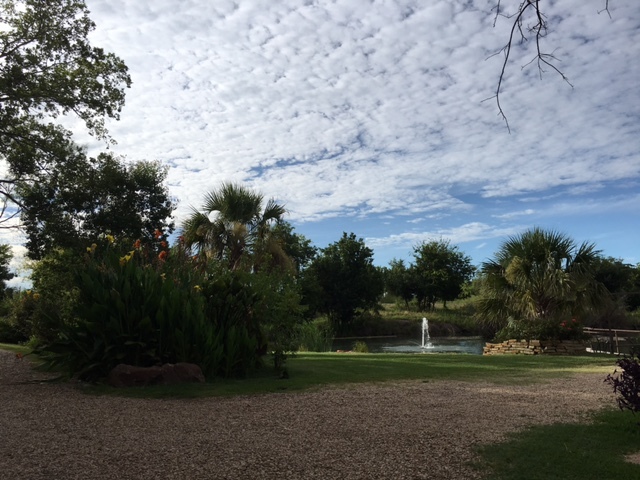 Beautiful Winding Brooks offers a park-like setting for your wedding, special occasion, event, or photo session. 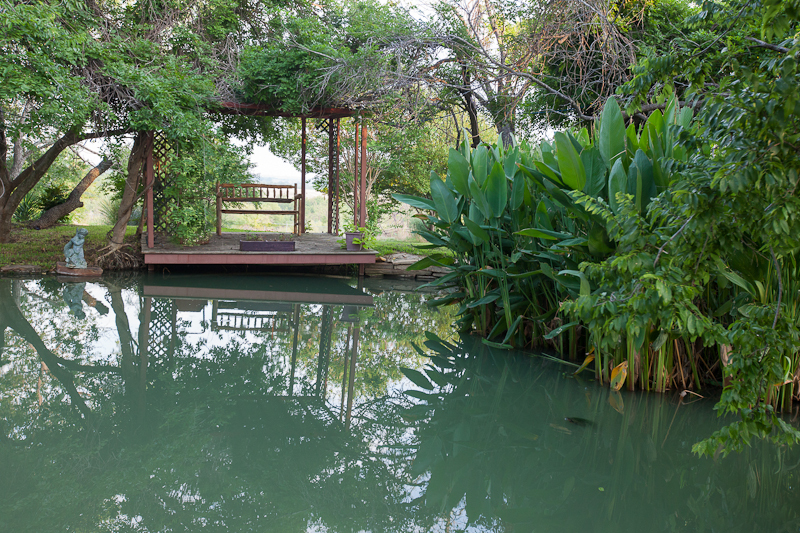 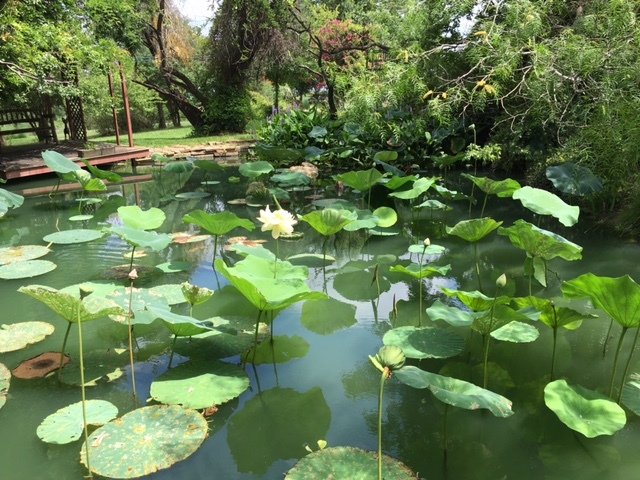 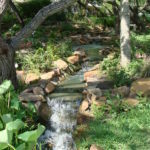 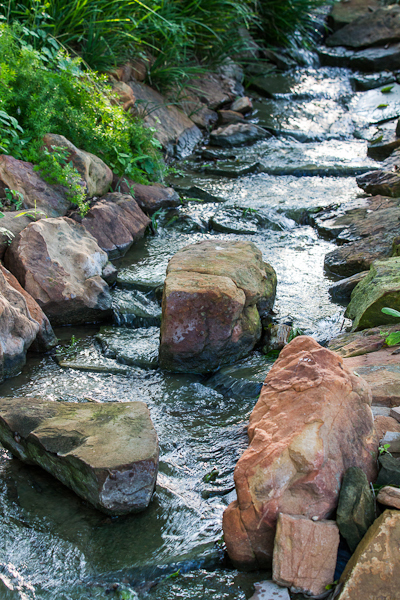 Eight water features with winding streams that gently cascade into large water ponds are framed by lush flowers, verdant plants, and abundant trees. 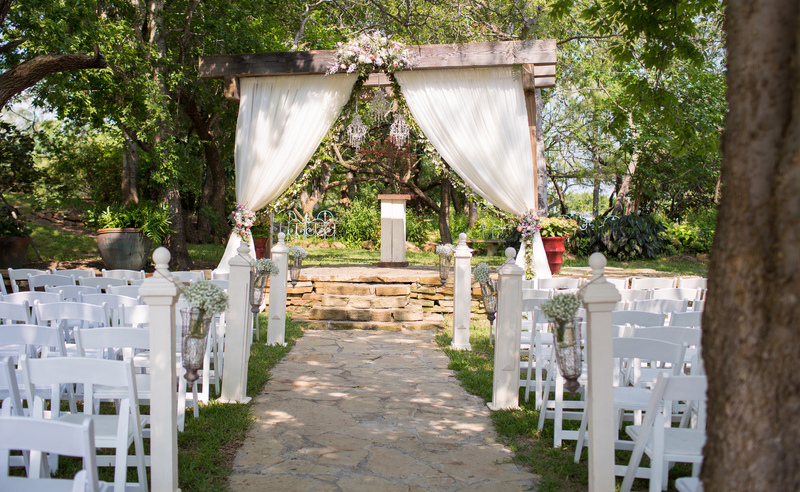 Nestled throughout are gazebos, arbors, and benches, plus a 5,000 square-foot banquet hall, designed to accommodate you and your guests. 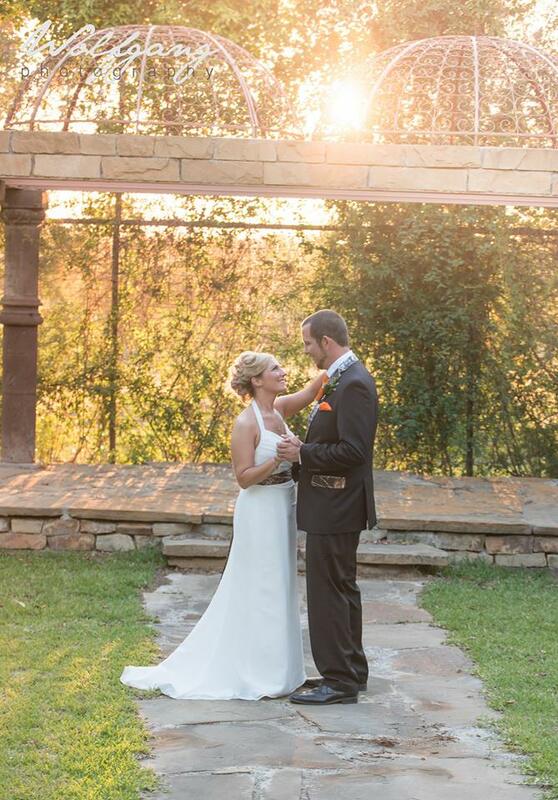 We are honored that you would consider Winding Brooks for your next special event!